Home / Health / News / Science / Viral / READ: You’ve Been Cooking Rice Wrong For Your Entire Life, Scientist Says! READ: You’ve Been Cooking Rice Wrong For Your Entire Life, Scientist Says! Rice is a Filipino staple, no questions asked. Because of this, you would think that we already know whatever it is about rice that we ought to know right? Apparently, we're wrong. According to a scientist, we have been cooking rice wrong, claiming that the traditional method might pose dangers to our health. Generally, rice is a healthy food containing nourishment inside tiny little grains. However, aside from nourishment and vitamins, rice may also contain arsenic due to the pesticide used in growing it. Scientists believe that there is only a certain arsenic level that can be deemed safe for one's health. According to The Telegraph, long time exposure to the toxin may be a factor to various health problems such as heart diseases, diabetes and even cancer. During the BBC program 'Trust Me, I'm a Doctor', researcher Andy Meharg of Queens University in Belfast demonstrated three different methods of cooking rice. In the demo, Meharg proved that the way rice is cooked affects the arsenic level of the rice. 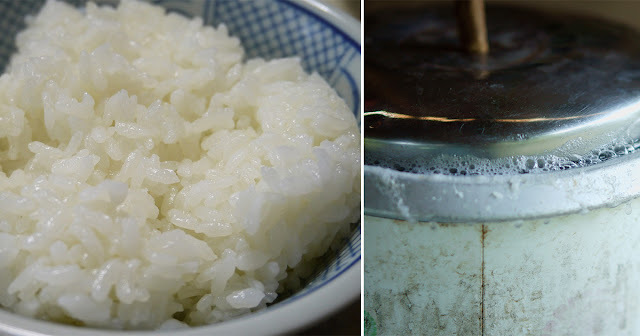 The first method Meharg used is the traditional method wherein one part of rice is cooked with three parts of water. In the second method, the researcher used a different ratio of 1 is to give for the rice and water respectively. She later poured off excess water. The second method was able to reduce the arsenic levels by about 50 percent. Her final method however was able to cut the arsenic levels by about 80 percent. Meharg soaked the rice overnight before washing it the next day. The recipe proposed by researcher Meharg is believed to be a better and safer method. -Soak the amount of rice you'd like to cook overnight. -Rinse well the next day and make sure the water is clean. -Once fully drained, cook one part rice to five parts of water and add a pinch of salt in the saucepan. -Allow it to boil before lowering the heat for about 10-15 minutes. -Use a fork to test if the rice is cooked. Try this technique and tell us how it goes!